Grayson Matthews Original | Pilchner Schoustal International Inc. This facility is geared toward efficient and creative production for music for advertising. 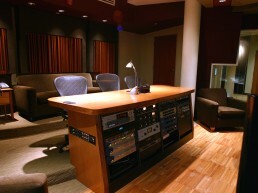 The facility incorporates a full-up surround sound control room environment with a generous live floor and isolation booth for live of the floor music recording. 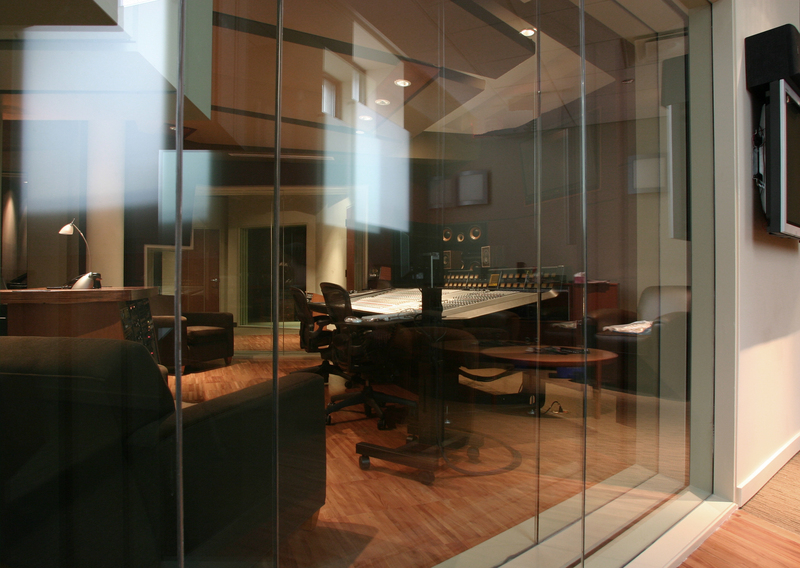 Large glazing assemblies on either side of the control give a full open impression of the studio proper on one side, and the flood of natural light from the other, offering a unique sense of openness to this highly sound isolated environment. 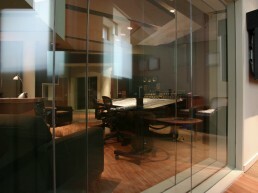 Synergies are explored by connecting secondary production/composition rooms with the isolation booth. 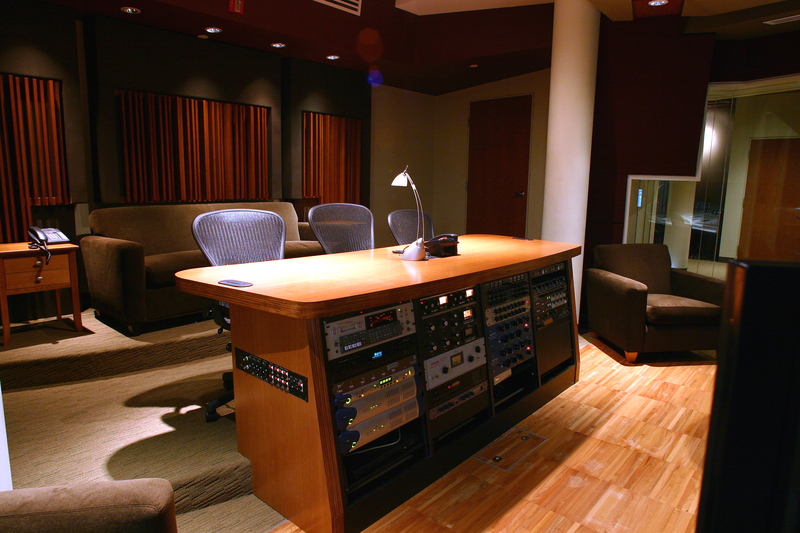 Finishes include rich mahogany finishes, which include custom millworks as well as custom designed sound diffusor assemblies. 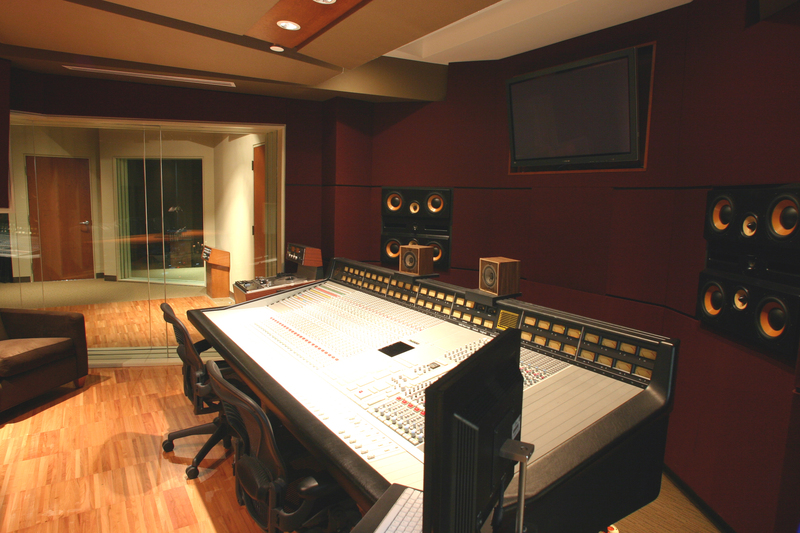 Ceilings feature a variety of finishes and include high modulated low frequency absorber assemblies.